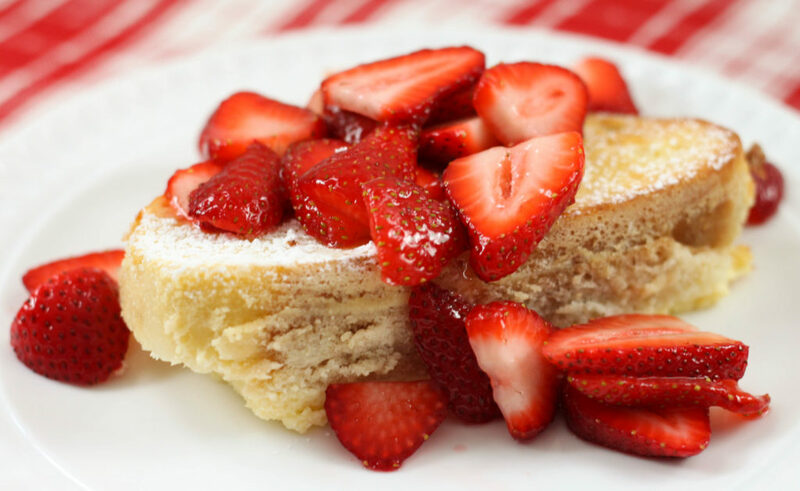 This Strawberry Cheesecake French Toast Casserole is the perfect breakfast or brunch recipe for a holiday or special occasion. My mom is a huge cheesecake fan and I can’t wait to make this for her for Mother’s Day this year! 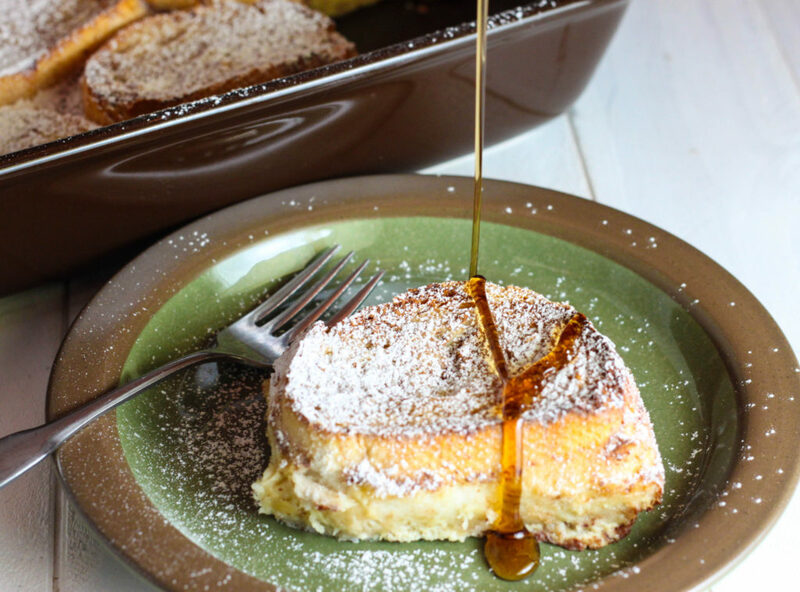 This recipe would also make a great Easter Brunch recipe! 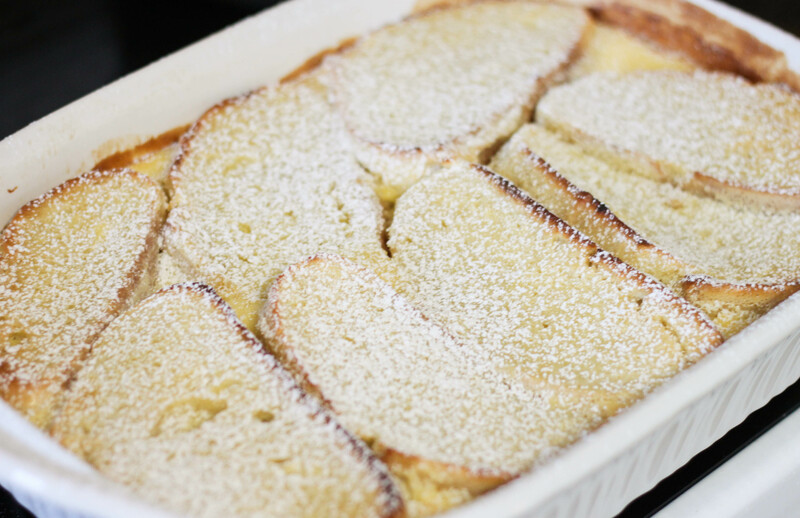 I love french toast but I love overnight french toast even more! There is just something wonderful about waking up and popping the casserole dish into the oven, grabbing your coffee (or caffeine or choice, pop for me!) and breakfast is ready by the time you wake up! The secret to this recipe is to make sure the cream cheese is at room temperature and make sure to cream the sugar and cream cheese first before adding other ingredients. Adaptions of this recipe could include other fresh fruit like blueberries, or for something more indulgent try drizzling chocolate or caramel sauce over top! That’s my kind of breakfast! In a bowl, cream sugar and cream cheese. 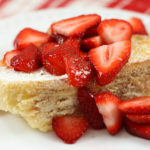 Add remaining ingredients (except strawberries and garnish) whisk together until completely smooth. Sprinkle remaining sugar over strawberries and let sit for a couple minutes. 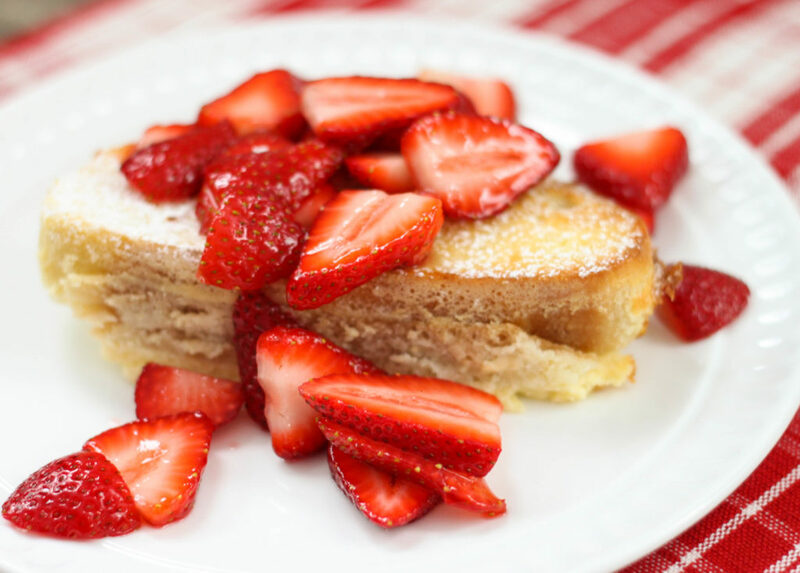 Serve with fresh sliced strawberries and powdered sugar or maple syrup.